Paul Weller being prophetic….. | Transformational thoughts…. ← Language and the winds of change…. The Jam’s great 1980 hit "Going Underground" is an edgy, powerful and raw indictment both of a society which fails to challenge and stand out against the values and decisions of its political leaders, and of those leaders themselves. 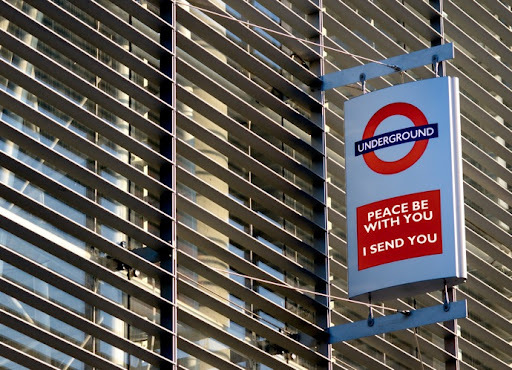 Written against the backdrop of the Cold War and the ever-present threat of nuclear annihilation, Paul Weller’s lyric’s suggest that ‘Going Underground’ is therefore a logical non-violent response for those who are disillusioned and alienated from corrupt, compromised and self-serving politics which is addicted to military might and the threat of war. "You want more money – of course I don’t mind To buy nuclear textbooks for atomic crimes And the public gets what the public wants But I want nothing this society’s got I’m going underground…. What you see is what you get You’ve made your bed, you’d better lie in it You choose your leaders and place your trust As their lies wash you down and their promises rust You’ll see kidney machines replaced by rockets and guns And the public wants what the public gets But I don’t get what this society wants I’m going underground"
"Going Underground" is a protest song which captured the angry counter-cultural mood of many young people at the time. I was newly graduated myself and so felt firsthand the seismic shift in social attitudes which the Punk era represented and ushered in. And the following 32 years have demonstrated how adept political systems are at maintaining the status quo, even in the face of growing voter apathy, disillusionment and disengagement. However, the vision of a fairer, more just, compassionate and equitable society and of a nation which is at peace with itself, with others and the planet is one that just does not go away. In every generation there are those who are enthused by the freeing and inclusive ideology of this vision and inspired to make it real and solid ground it experientially for the benefit of everyone. In the Bible they are called prophets. And they provide the hopeful imagination which enables God’s people to go underground within society; to get deep down beneath the surface of issues which divide and behaviours which exploit, remaking and reshaping the nation from within and in so doing resisting the powers which hurt and diminish the majority for the benefit of the few. The Bible calls this God’s Kingdom. And it is this which took Jesus to his Roman Cross. Because God never gives up on us or the Kingdom vision. God never ceases to subvert violence with peacemaking, greed with grace and indifference with solidarity. God is always going underground. At Easter Jesus proves this to be true definitively and eternally. Throughout his ministry Jesus went underground into all the hurt, pain, cruelty, sickness, mess, confusion and death which comprises human life and transformed it. On Good Friday he did this once and for all. And underground, beneath our all our science, technology, philosophy, politics, culture and hubris as a species, beneath time and space and understanding, God’s love is seen to be the ultimate given of existence. And in love God gifts Jesus back from death that we would see this for ourselves. Overground we come face to face with God’s Underground truth. For that is what happens in the locked room as the disciples encounter the Risen Christ. The disciples are commissioned, empowered and tasked with going underground as God’s shalom-makers. In this they are to be as Jesus was and to do what Jesus did. And as such they will be the very antithesis of political leaders and powerful oppressors. Going Underground their God inspired and God sustained movement will embody God’s Kingdom of love for all and be signs of God’s presence to raise everyone to new life in Christ. Peace-making, forgiveness and prayer are what these first few men and women will use to transform the world. Going Underground into the depths of the world’s need they are to be a true community of the ordinary who do extraordinary things in the name of Jesus and the power of the Holy Spirit. And because they do this and live like this, others will see and touch the presence of Christ for themselves. And it does not get more counter-cultural than that. Going Underground God’s Easter People confound the ways of violence, intimidation and conflict. In them we see that there is a better way. God’s way. The challenge in our time is to live it as resolutely, confidently, prayerfully, faithfully and generously in our communities as they did in theirs. 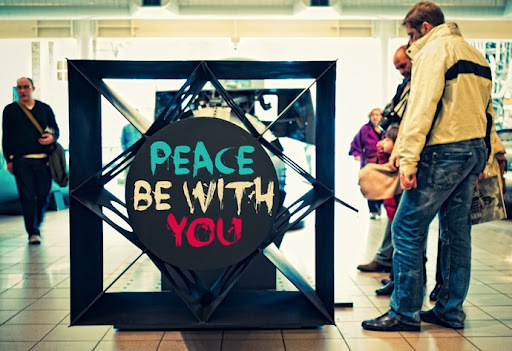 And as nuclear tensions rise again in the Middle East and the warmongers stir, who is prepared to have God’s prophetic peace-making Spirit breathed into them and to be those for whom "peace be with you" is a vocation given by Christ Jesus himself? This entry was posted in Community, Compassion, Dysfunctional, Equality, Greed, Institution, Integrity, Justice, Music, Politics, Poverty, Prophetic. Bookmark the permalink.